If you are looking for an economical, easy to use IP camera, look no further. The MAX-IP280 ideal IP camera is simple to use and easy to set up. The installation software does most of the work for you, auto-detecting the camera IP number and setting it up for local and remote access. All you need to do is set port forwarding on your router and it's ready for remote viewing from anywhere in the world with an internet connection. 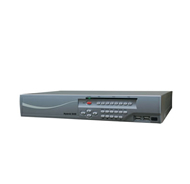 Password based security prevents unauthorized users from receiving the MJPEG video stream. Out powerful CMS software (included) gives you full recording capability and more. Watch multiple IP cameras, program recording schedules, save screen shots and adjust other settings remotely.